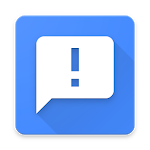 Have you ever encountered toast messages generated by an unknown app? If so, this app can help you track down their source. It will show a notification with originating program's name, icon or save info about a toast, so you can check it later. 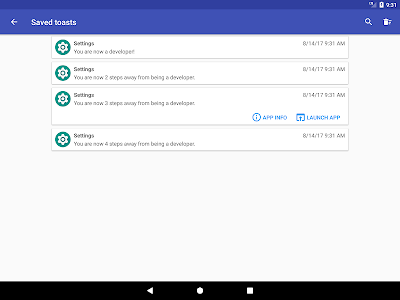 Then, you can quickly launch it or go to a system screen with more info about the app. 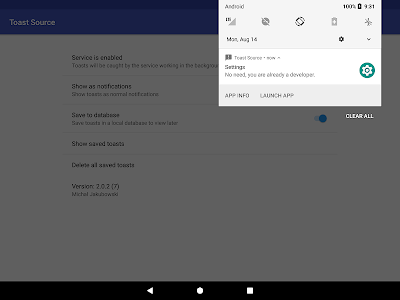 For app to work, you must launch it and click "ENABLE SERVICE" button which will open system settings panel with a list of available accessibility services. 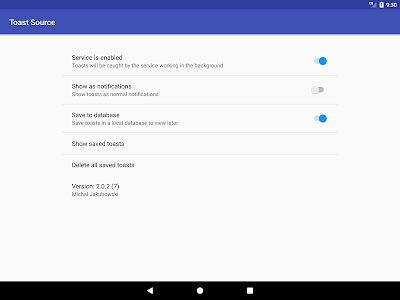 There, go to "Toast Source Detection Service" and enable it. After finding out problematic app, you can disable service without any worries. 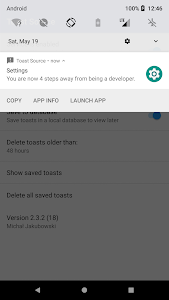 App does not have internet permission, so it won't be able to send toast contents to me or anybody else. 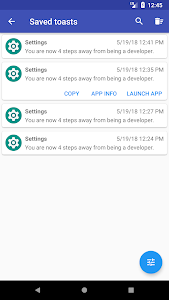 This app uses Accessibility services. 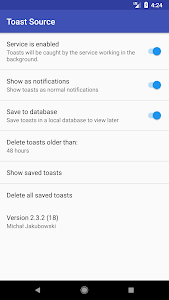 They are used for detecting toasts and reading their contents as well as metadata (like name and identifier of the app that generated a toast).